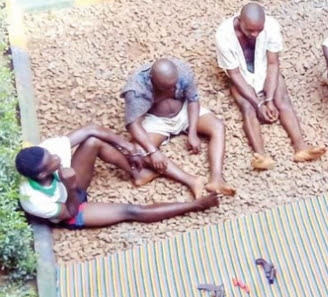 At least one person died today and 3 others arrested in a shoot out between Ebonyi Police command and armed robbers in the capital city. One of the robbers reportedly lost his life during the gun battle while 3 others were arrested after the police overpowered them. 7 people including owner of a motorcycle snatched by the robbers allegedly sustained various degrees of injuries during the incident. Armed men numbering over ten had stormed centenary city, along Afikpo Road and snatched motorcycle from the owner.